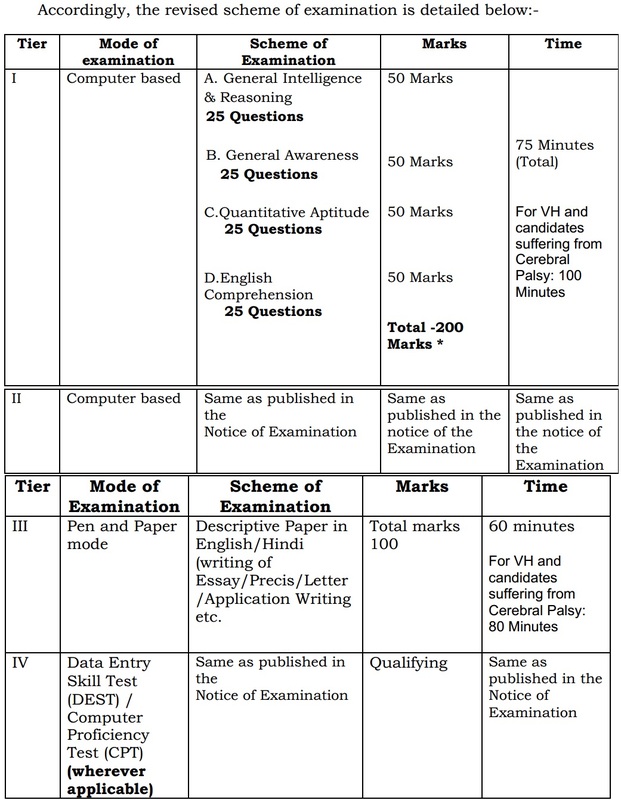 Finally, SSC has published the New Exam Pattern for SSC CGL 2016 Exam. The new pattern is entirely different from the previous one and most importantly, It will be conducted Online. 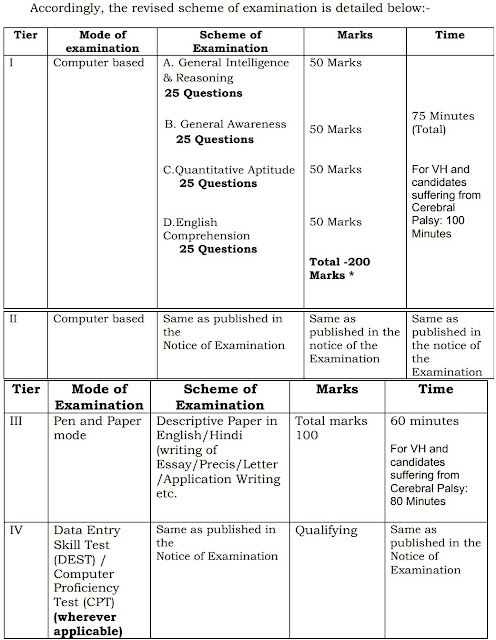 The exam will be conducted in 4 Tiers i.e Tier-1, Tier-2, Tier-3 & Tier-4. The pattern of Tier-2 remains unchanged which means there will be 100 Questions in Maths of 200 marks and 200 Questions in English of 200 Marks. The new Exam pattern is listed below. Document Verification will also be conducted. You can download the official notification file by Clicking Here.